Balloons are used in a large number of craft projects. Sometimes they are a part of the finished craft and other times they are used as a mold. 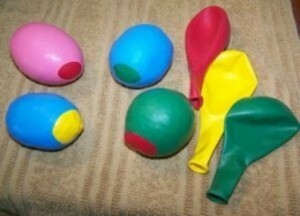 This is a guide about crafts using balloons. You take one pink coloured balloon, one card sheet and some colorful paper and things for decoration. Cut eyes and nose out of black paper and lips of red coloured paper, paste on (blown up) balloon and wait to dry. Take your card sheet of any colour and make one cone shape hat for your clown and decorate it. Paste it on the balloon head and your own clown is ready. This is a guide about making a paper tube marshmallow launcher. Have fun making and playing with this little launcher. It would make a great party craft or favor. This is a guide about making a balloon caterpillar. 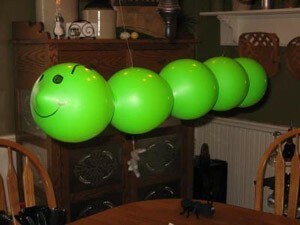 This balloon caterpillar would make a great decoration at a child's party. It is an inexpensive project that is sure to get noticed. This easy to assemble St. Patrick's Day wall decoration is so quick and easy you may want to make several. 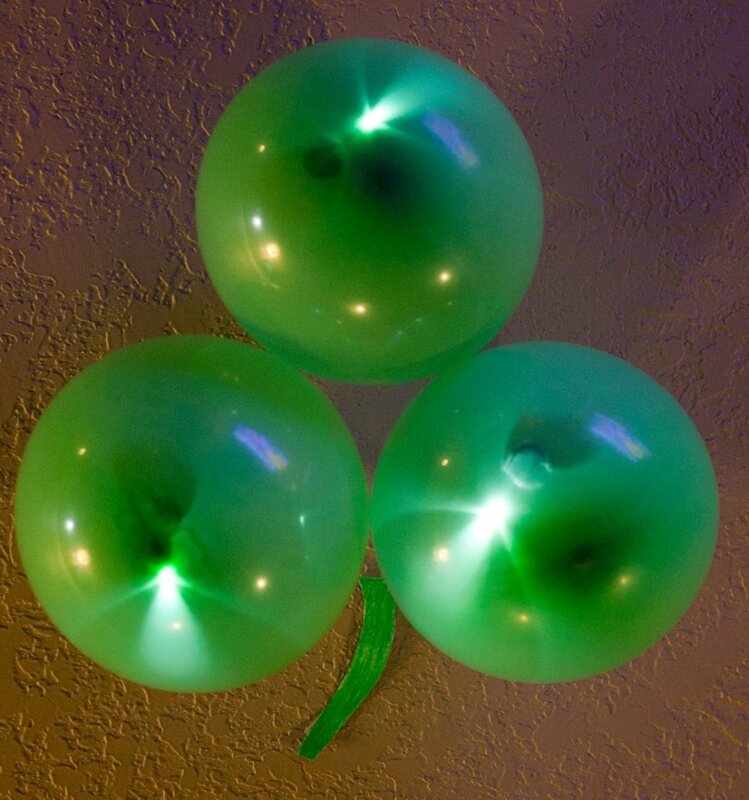 This is a guide about easy LED shamrock balloon decoration. You can make a fruit bowl with balloons for a cute party centerpiece. 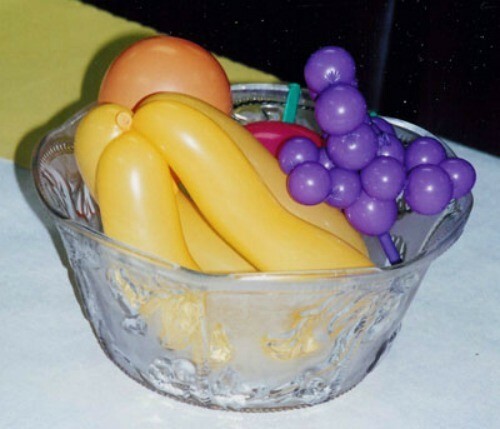 Learn how to make a balloon fruit bowl centerpiece in this guide. This is a guide about making colored ice globes. 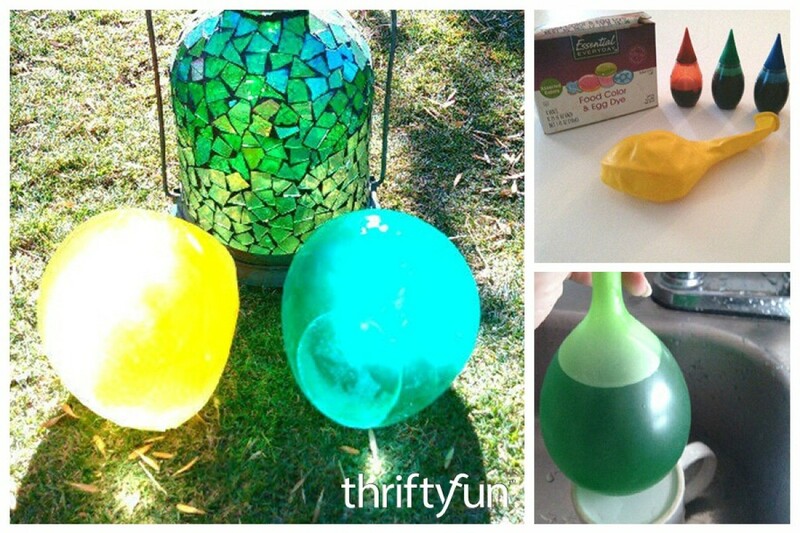 These colored ice sculptures are easy to make and fun to display. 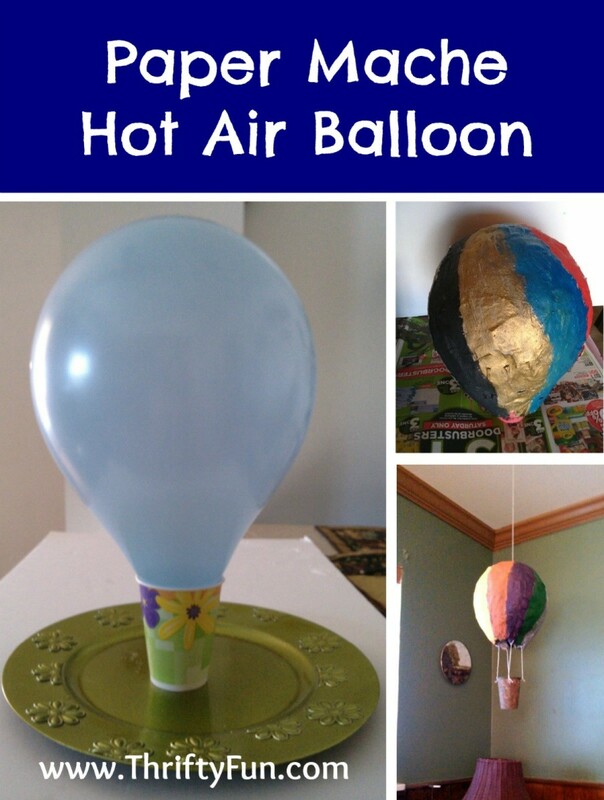 This guide is about making a paper mache hot air balloon. You can make a cute little paper mache hot air balloon with just newspaper strips, flour, water, paints, and an inflated balloon. 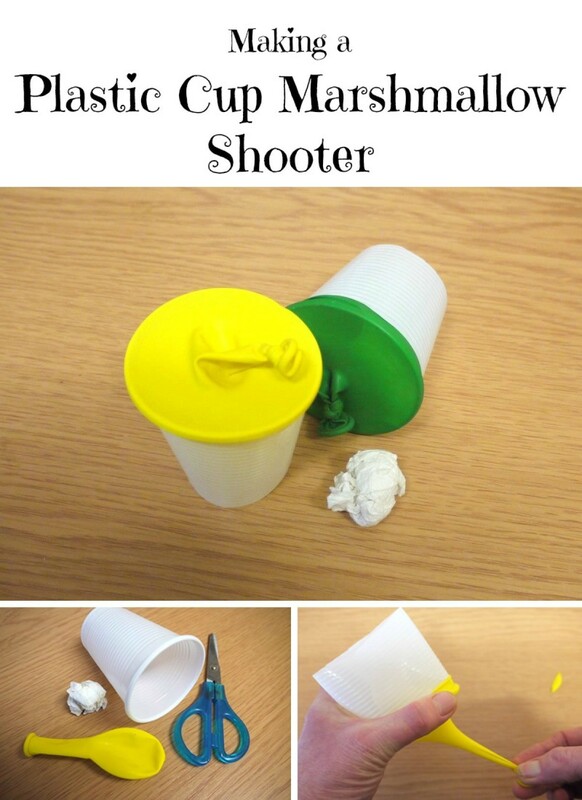 This is a guide about making a plastic cup marshmallow shooter. 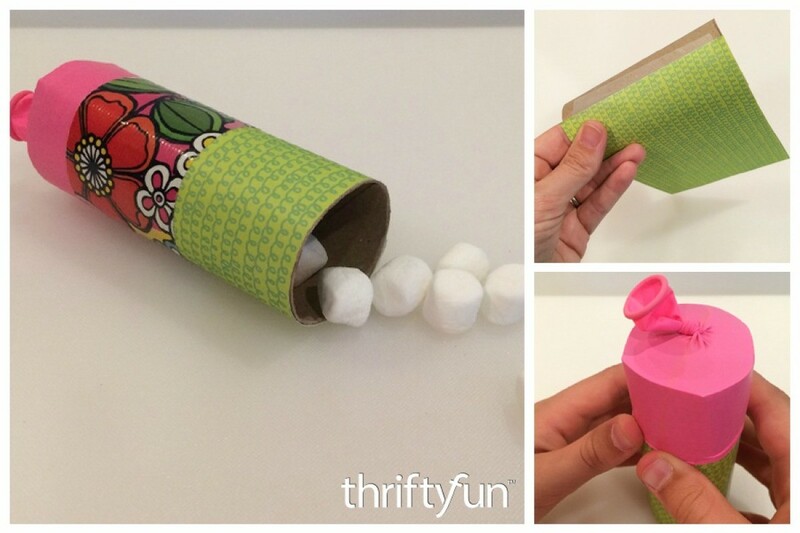 You can easily make a fun and safe projectile toy with plastic cups and marshmallows. This is a guide about making a balloon bouquet barrette. 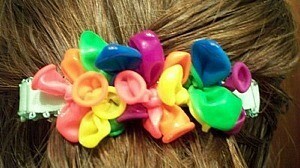 A inexpensive, colorful hair accessory can be fashioned with balloons and a plain barrette. 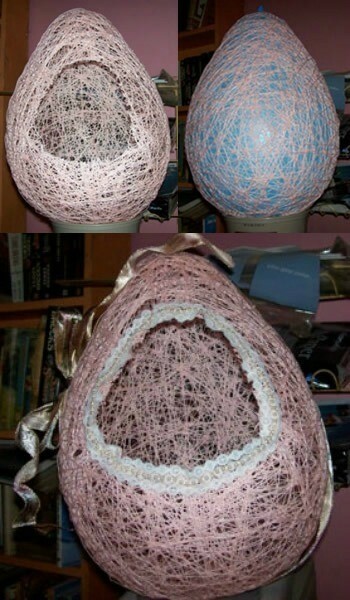 Paper mache lanterns are an easy and beautiful craft. 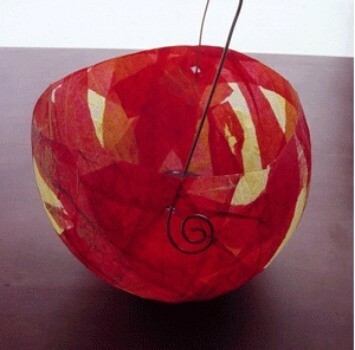 This guide contains instructions for making your own paper mache lantern at home. This is a guide about making balloon bean bags. Even if you can't sew, you can make your kids some cute bean bags using balloons.